The genius of Steve Jobs lies in his hippie period and with his time at Reed College. With the deep ethical problems facing technology now, we need Jobs vision more than ever. To his understanding of technology, Jobs brought an immersion in popular culture. In his 20s, he dated Joan Baez; Ella Fitzgerald sang at his 30th birthday party. His worldview was shaped by the ’60s counterculture in the San Francisco Bay Area, where he had grown up, the adopted son of a Silicon Valley machinist. When he graduated from high school in Cupertino in 1972, he said, “the very strong scent of the 1960s was still there. After dropping out of Reed College, a stronghold of liberal thought in Portland, Ore., in 1972, Mr. Jobs led a countercultural lifestyle himself. He told a reporter that taking LSD was one of the two or three most important things he had done in his life. He said there were things about him that people who had not tried psychedelics — even people who knew him well, including his wife — could never understand. Decades later Jobs flew around the world in his own corporate jet, but he maintained emotional ties to the period in which he grew up. He often felt like an outsider in the corporate world, he said. 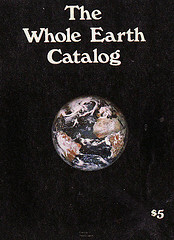 When discussing Silicon Valley’s lasting contributions to humanity, he mentioned in the same breath the invention of the microchip and “The Whole Earth Catalog,” a 1960s counterculture publication. Jobs’ experience rings with my own experience in the Santa Clara Valley at that time. Jobs and I were both deeply affected by Stewart Brand, the visionary behind The Whole Earth Catalog. Stanford professor Fred Turner has documented this period in his book “From the Counterculture to Cyberculture, Stewart Brand, the Whole Earth Network, and the Rise of Digital Utopianism. 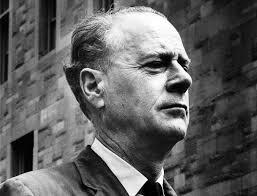 For me this journey also began with the extraordinary vision of Marshall McLuhan, the Canadian professor of communications, who literally predicted the emergence of the World Wide Web and “The Global Village,” like some kind of modern day Nostradamus. 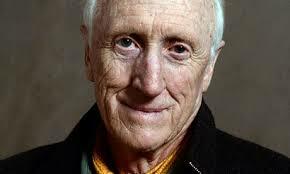 Stewart Brand is also featured in Tom Wolfe‘s book, “The Electric Kool-Aid Acid Test,” along with Ken Kesey’s Merry Pranksters and The Grateful Dead. I had the great good fortune to formally meet Brand at a COMDEX Microsoft event in a hangar at McCarren Airport in Las Vegas and was immediately impressed by him, as was Jobs. Not surprisingly, Brand was an invited guest at the Microsoft event, having already seized on the importance of the personal computer and the prospect of a networked World. Recently, in another anecdote on that time, Tim Bajarin shared a wonderful story about Job’s counterculture friend and organic gardener who remains the manager of the landscape at the new Apple campus, retaining the feeling of the original Santa Clara Valley orchard economy, that some of us can still remember. It is important to think back to that time in the Bay Area and the euphoria of the vision of “digital utopianism.” It grounds me and helps me to understand where we have gone so terribly wrong. Digital utopianism is now dead. I have written about its sad demise on this blog. The wonderful vision of digital utopianism and the Web has been perverted by numerous authoritarian governments, now including our own, resulting in a Balkanized Web and a dark Web pandering all kinds of evil. This is the problem we face and the urgent need for greater emphasis on ethics. What about human life, culture, and values? So many areas of technology are on the verge of deep philosophical questions. Uber has become the poster child for everything that is wrong with Silicon Valley. I ask myself, “What would Steve Jobs have said about Travis Kalanick and Uber?” I think we know the answer. Ironically, Silicon Valley has a center for research and study in ethics, the Markkula Center for Applied Ethics at Santa Clara University. Mike Markkula was an Intel marketing guy who quit Intel to join with two crazy long-haired guys in Cupertino. I am a Liberal Arts & Humanities graduate myself, including graduate study at Oxford University. When I returned from England I asked the obvious question: Now how do I make a living? As it happened, I very improbably landed my first real job at Intel Corporation. When I asked why I was hired, the answer was that I was judged to have the requisite talent and aptitude if not the technical knowledge. I later developed a reputation for being very “technical” by the process of “osmosis,” by simply living in a highly rarified technical culture and receiving whiteboard tutorials from friendly engineers. I was thrown into a group of Ivy League MBA’s. We wistfully shared a desire to have the others’ educations, but simply working together made us all more effective. Amazingly my career grew almost exponentially and I attribute my success to that cross-fertilization. While with Intel in Hillsboro Oregon, someone approached me to represent Intel at a talk with Reed students. I was cautioned that few if any Reed students would be interested in working for Intel, but they would be very intellectually engaging. That proved to be a significant understatement. In the end, I believe that perhaps two dozen “Reedies,” as they are known, joined Intel, one of whom went on to a stellar career as a Silicon Valley venture capitalist. A significant part of my later career has been devoted to using my Humanities education background to assess and translate deep technology in human terms for the benefit of both management and potential customers. Today, nothing of my story would ever happen, but the influence of the Humanities and Arts in business seems more sorely needed than ever.